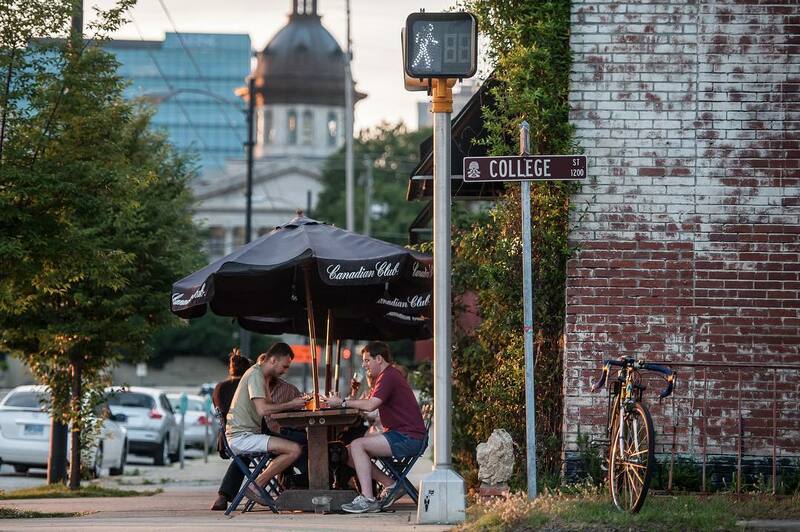 Civic and elected leaders in the South Carolina capital want to create a more competitive Columbia for tomorrow, and they’re eager to find out how a new approach to economic development can get them there. Boise, Denver, Greenville, Minneapolis, Nashville, and Pittsburgh are six of the many cities using a new strategy for economic development. Rather than offering tax breaks to lure companies, these cities are creating walkable, vibrant, inclusive neighborhoods that are attracting residents and employers, supporting existing businesses, and fostering entrepreneurs. We talk about this new approach in our most recent report, Amazing Place: Six Cities Using the New Recipe for Economic Development. The report takes an in-depth look at the development strategies at work in these six cities, and is designed to show communities everywhere how to create diverse and durable local economies that last beyond the lifecycle of any one employer. As part of Tuesday’s kickoff for the new report, we hosted an online conversation about creating these amazing places. Participants heard an overview of the guide as well as a detailed discussion about development in Denver, Greenville, and Pittsburgh. A recorded version of the webinar is now available. Pedestrians walking in the Atlanta metro region. Photo via Flickr. Pedestrian deaths are a national epidemic in the United States. Within that epidemic, though, some populations have been hit harder than others. In Dangerous by Design 2014, we ranked America’s most dangerous metropolitan areas for walking using our Pedestrian Danger Index (PDI). We investigated the nature of over 47,000 pedestrian deaths from 2003 through 2012 and identified the regions that most needed to improve pedestrian safety. In more recent years, many of them, including the Florida Department of Transportation, have started taking steps to keep people on foot safe. But our analysis of demographic data, included in the report from a state-by-state view, also told a story of inequity. The National Complete Streets Coalition reports on the national epidemic of pedestrian fatalities, offering county-, metro-, and state-level data on traffic fatalities and an interactive map of each loss in the decade 2003 through 2012. This resource specific profiles the state of South Carolina. Since the early 1990′s, the city of Greer, SC has tripled in population and quadrupled in size. Mayor Rick Danner has been there for much of this change. A view of the Reedy River from downtown Greenville. Photo courtesy of Walter Ezell. Greenville, South Carolina’s West Side is growing rapidly, and planners in the city are using a comprehensive plan to make sure that growth creates better neighborhoods for all the area’s residents. Currently, the West Side is a cluster of low- to moderate-income neighborhoods adjacent to Greenville’s downtown. Planners from the City of Greenville are considering a number of different strategies to better link the West Side with the rest of the city, while still ensuring that current residents can reap the benefits of the growth that will ensue. City planners are bringing concerted planning to the West Side’s robust growth, and are working to ensure that new development meets the needs of as many residents as possible. To achieve that goal, planners are developing a comprehensive plan for the West Side and its three main commercial corridors.